Erebus is the highest ranking demon in Hellas and the Theohedron. He is the demon responsible for the mythic god of darkness that bears his name. His characteristic form is that of a large black cloud. As with all demons, his Stygian aura absorbs and blocks light. So when he appears as a cloud, no light can get through. Normally his cloud form is accompanied by a pair of glowing red eyes, another characteristic of demons in the Ouranic Histories world. The he is in cloud form, he can easily make other forms appear (i.e. faces, fists, etc.). Erebus has one driving motivation…Total dominance of the Hellenic lands. He wants nothing more than to bring the Hellas into a reign of darkness. The only thing that has been holding him back is the Olympian Heavelies, headed up by Brontios. Though he outclasses them, their combined strength is greater than his. This is a constant source of vexation for Erebus. When news of the Theohedron’s presence on earth spreads, Erebus puts all of his energy into obtaining it. Such an artifact could tip the balance of power in his favor. If it proved strong enough, the thought of overthrowing even his own demon master, Mastema, wouldn’t necessarily be out of the question. Through unfolding events, Erebus finds himself allying with a group of Watchers, demon malachim who have developed very useful and dangerous skills, including the generation of monsters. Erebus hopes a tenuous alliance with the Watchers will be the most direct route to overthrowing Brontios and his fellow Heavenlies. Can Erebus gain access to the most powerful artifact on earth? Will his alliance with the Watchers and their monsters work out in his favor? Can he finally overthrow the Olympian heavenlies and begin his reign of darkness over Hellas? 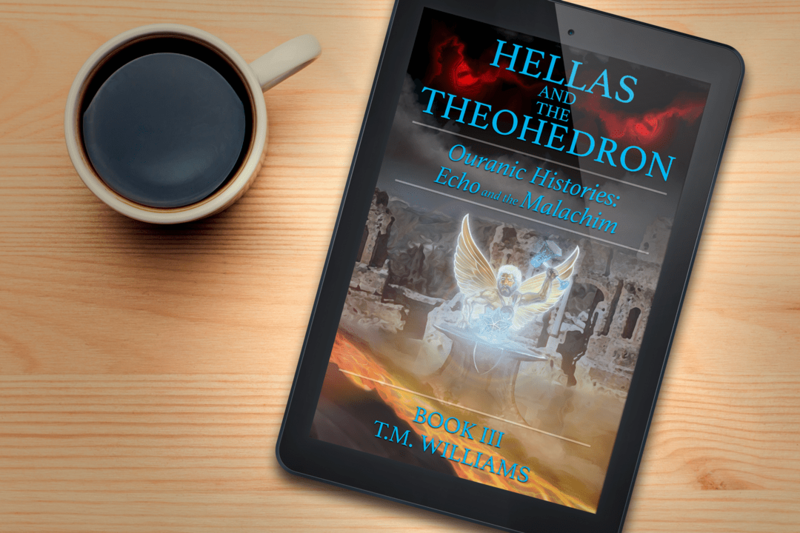 Find out in Hellas and the Theohedron.